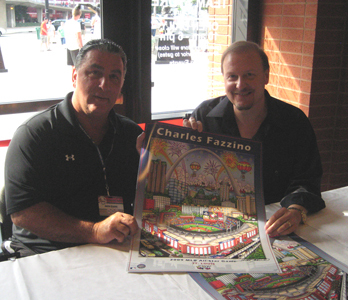 All-Star Game Art Project at Busch Stadium, Pop Art Poster Signing with Jack Clark, and more! Just returned to the studio today after a whirlwind tour through St. Louis to unveil my pop art for the upcoming MLB All-Star Game there. 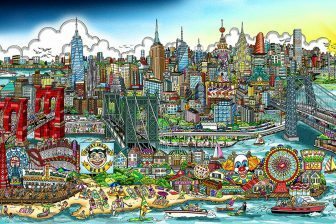 What a fantastic town!!!! I just love St. Louis. On Tuesday, I spent five hours at Busch Stadium working with the fans to create a huge mural of the all-star game artwork. Some folks worked with me to cut and glue the 3-D unique while others painted their favorite St. Louis Cardinals moments onto the mat that will go around the work when it’s framed up. I do live art projects like this several times a year and how they come out totally depends on the people who work with me. The Cards fans were GREAT. They really got into it and the matting is going to look fantastic. 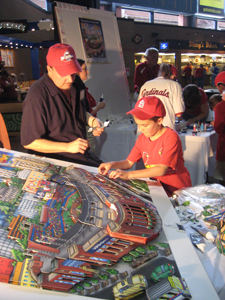 The piece is going to be installed somewhere in the stadium so everyone who worked on it will be able to say they are part of a public art display at Busch Stadium. We had a lot of fun. 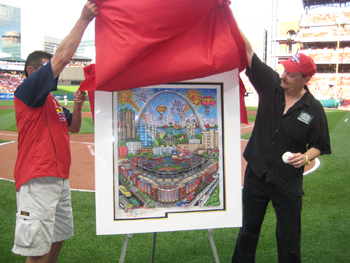 At one point during the live art project, I took a break to join former Cardinal all-star Ken Reitz on the field to unveil the all-star game artwork for the crowd. We unveiled the piece and then they asked me to throw out the first pitch…right over the home plate i had also painted for the evening. 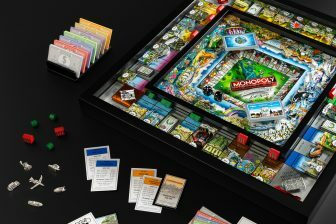 Now THAT was fun. I actually surprised myself and got it right over the plate! Both the plate and the artwork will be auctioned off at some point to benefit Cardinals Care, the team’s charitable foundation. Stay tuned to their website if you’re interested in bidding. On Wednesday, I did an all-star game poster signing in the team store with the legendary Jack Clark. I’d never met Jack before … what a NICE guy…and it was obvious that the fans loved him. He played in several towns including St. Louis, Boston, San Diego, and New York. I asked him why he ended up settling in St. Louis…he said it was because the people there made him feel at home…so he stayed. I’m working on a hand-painted helmet to commemorate his career … hope to have it done for him in a few weeks. I’m looking forward to returning to St. Louis in July for All-Star Game week. I’ll be there Thursday, July 9th through Saturday, July 11th. I’ll be doing a cigar signing at Jon’s Pipe Shop in Clayton on Thursday….will be at the All-Star Game Fanfest Friday during the day…hosting a show of my entire collection at Wentworth Gallery in Des Peres on Friday night…and spending all day Saturday at Fanfest. 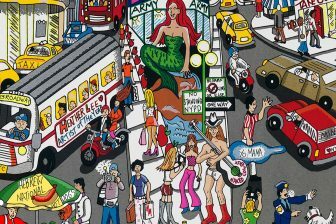 On Sunday, i have to go to Pori Finland for the Pori Jazz Festival. It will be the first year i’ll have to miss the game…it’s incredible how things always happen at the same time. Should be a tiring but FUN week! See you in St. Louis!